If you have ever once come to Nha Trang, Vietnam (Việt Nam) you will easily be “knocked out” by the charm and dynamism of this beautiful coastal city. Despite Nha Trang has tropical monsoon climate, it is also governed by the ocean climate. Thus, Nha Trang climate is relatively mild, not too harsh like in the North and also not too erratic as in the South. The winter in Nha Trang is not cold so much, and summer often lasts longer but it is not too hot. There are two distinctively seasons, which are sunny season and rainy season. In addition, this coastal city is located in the zone which is less affected by the storms. 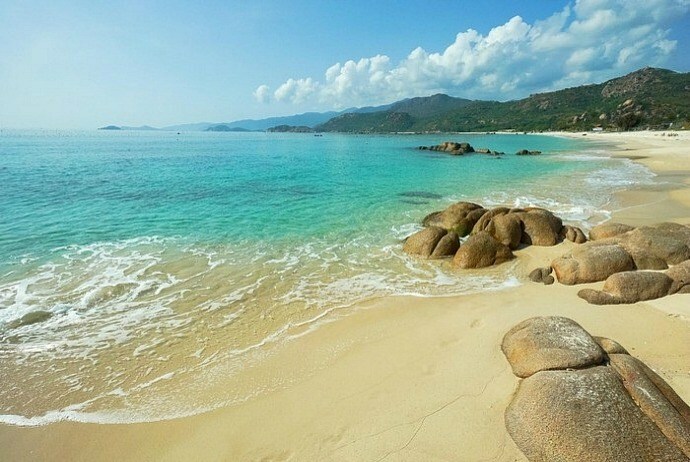 Thus, Nha Trang tourism is always ready to welcome tourists to visit all year round. The dry season reign over Nha Trang city, the weather is quite calm, cool and dry, which is very suitable for tours of any forms. In the last months of the year, Nha Trang starts welcoming the poured rains along with a little bit chilly feeling. Sometimes, it will impact your plans of traveling. Therefore, if you go to Nha Trang in last months of the year, you had better prepare some essential items such as umbrella, raincoat in order to avoid losing glad when suddenly dealing with the rain. Those tourists choose the form of transportation by planes will arrive Cam Ranh airport, then they will go to Nha Trang city center. 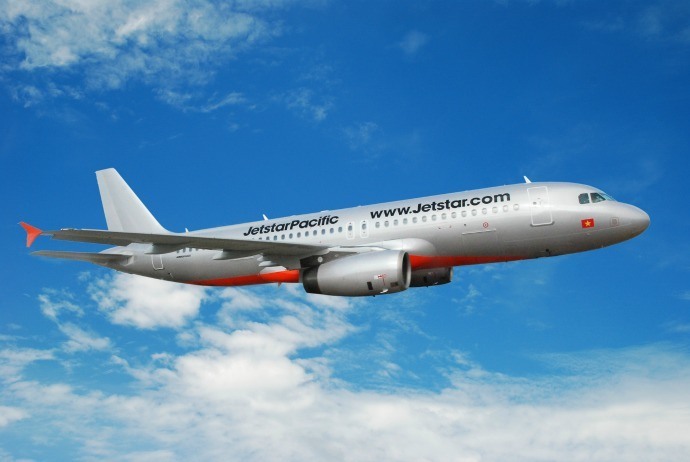 Some airline brands for you to choose are Vietnam Airlines, Jetstar, Vietjet Air. You could check the schedule and cost of flights of those airlines through their websites. Particularly, Vietjet Air and Jetstar have great discounts occasionally, so if you want to have cheap ticket, then pay close attention to those websites. Additionally, some other international airlines having flights to Nha Trang include China Southern, Cathay Pacific, Korean Air, Malaysian Airlines… The ticket fares vary based on the flight time and hops. Because Cam Ranh airport is about 35km far away from Nha Trang city, so you can choose to take a taxi or airport bus to move. 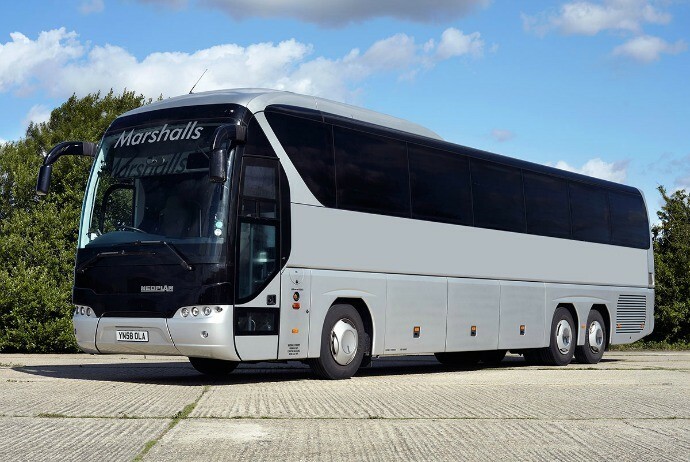 The advantage of airport buses is that they will go after the plane plans for about 30 minutes or when there are full of customers on the vehicle. When going to the entrance door of the airport, you will see a bus ticket counter which have clear signposts. You can buy a ticket here and be sure to ask about the departing time to make sure that you do not have to wait for so long. The trains from Hanoi (Hà Nội) to Nha Trang contain SE1, SE3, SE5, SE7, TN1. 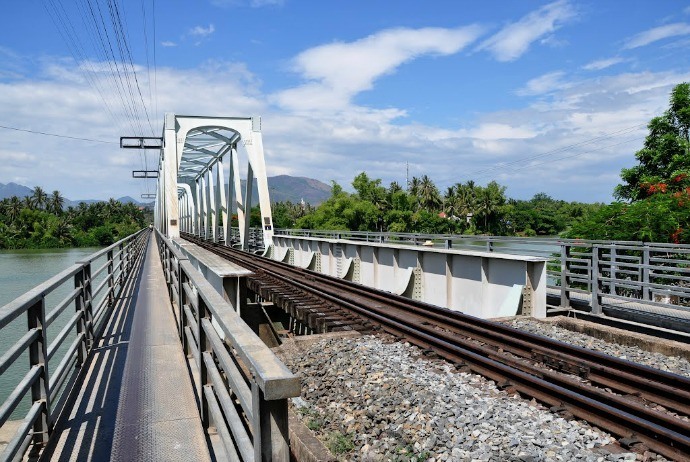 The trains from Nha Trang to Hanoi contain SE2, SE4, SE6, SE8, TN2. You can buy tickets at the Saigon Railway Station located at no.1 Nguyen Thong (Nguyễn Thông), Ward 9, District 3, Ho Chi Minh (Hồ Chí Minh) City. Tel: +84 8 6528 – +84 8 3843.6528. Serving time is from 7 am to 7 pm every day. Hoang Long coach: 730.000 VND / person / turn (bed). Nha Trang has many taxi firms for you to choose from. If you choose to take a taxi from Cam Ranh to Nha Trang and vice versa, the price will range from 250,000 – 350,000 VND/ turn as the distance from the airport to Nha Trang city is about over 35km. Some recommended taxi firms in Nha Trang are Airport taxi, Emasco taxi, Mai Linh Taxi, Nha Trang taxi, Tram Huong (Trầm Hương) taxi, Thanh Hung (Thành Hưng) taxi, Thien An (Thiên An) taxi, Vinasun taxi, Asia taxi, Gia Dinh (Gia Đình) taxi. However, you should choose large taxi companies with long-standing brand. In particular, you should ask and negotiate the price before using the service. The motorbike rental service in Nha Trang is rather cheap. 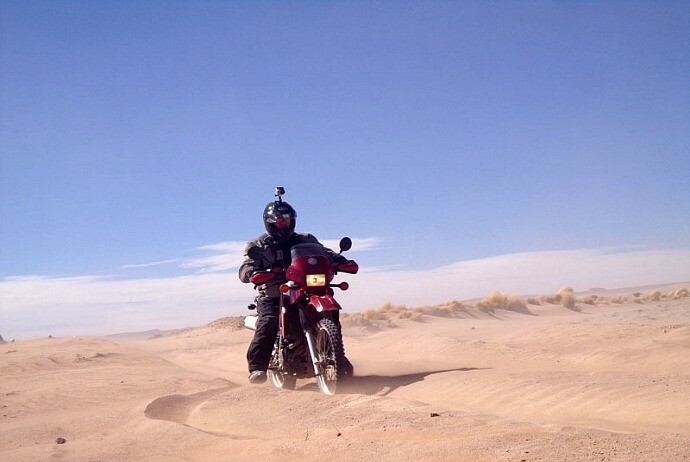 You could contact with the hotel to rent a motorbike or refer some information below. Note: You will need to ask the nearest gas station to fill immediately, because the bike when delivered to the customer only has a small amount of petrol enough for them to run to the gas station. Vinpearl Cable Car is a cable car crossing Nha Trang Bay, with the length of 3320 meters, connecting Nha Trang and Hon Ngoc Viet (Vinpearl Land) resort on Hon Tre (Hòn Tre) Island. This is the longest sea crossing cable car in the world and also the cable car that can accommodate the most people in one cabin (8 people). 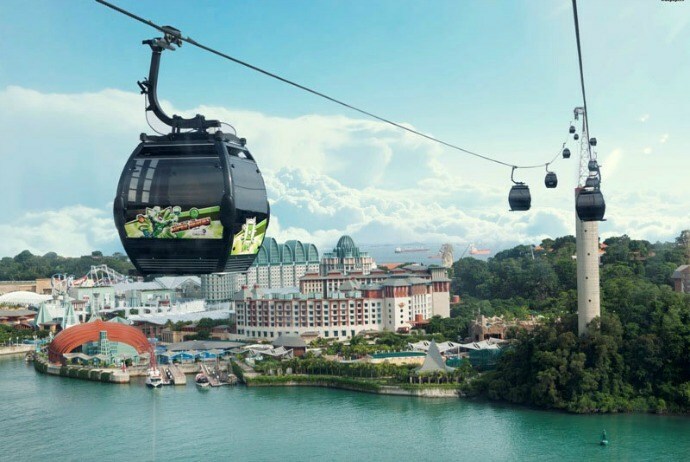 The cable car has 8 cabins, serving 1500 passengers / turn each hour. Each cabin will pass the seaway distance from Nha Trang and Hon Tre Island within about 9 minutes and 20 seconds. The whole line has 9 offices (the highest 54,65m and the lowest 7,96m). The cable car can withstand the wind level of 7, and the maximum compensation cost for an accident occurring in one cabin is 12 billions of Vietnam Dong. The cable car operates from 9 am to 10 pm on every day of the week. When using the cable car through Vinpearl, you also bought the full service of entertainment here. The ticket is valid for roundtrip: adults 650,000 VND / ticket / person, children (from 0.95m – 1m4 tall) 550,000 VND / ticket / person. The boats in Nha Trang majorly depart from Cau Da (Cầu Đá) Port. From Nha Trang, you could visit many interesting islands and islets around. Some common destinations for tourists to visit are Fish lake, San beach, Tranh beach, Mini Beach, fishing village, Hòn Tam (Hòn Tằm) Island, Hon Mot (Hòn Một) Island, Hon Mun (Hòn Mun) Island, and Vinpearland. Coming to Tu Binh beach zone, you could discover the most pristine beaches, tourist absence fishing villages and enjoy lobster and other seafood at bargain prices. Because this is the waters area located in the military zone, so it is limited to tourists. Foreigners are not allowed to visit the island. Thus, Tu Binh still preserves its own beauty that nowhere else has. Binh Ba (Bình Ba) is a small island with an area of over 3km2, located in Cam Binh (Cam Bình), Cam Ranh, Khanh Hoa (Khánh Hoà) province. About 60 km far away from Nha Trang city, and 390 km from Ho Chi Minh (Hồ Chí Minh) city, if you want to go to Binh Ba (Bình Ba), you have to go to Ba Ngoi (Ba Ngòi) Port. This port is about 15 km away from Cam Ranh airport and Binh Ba is also 15 km away from Ba Ngoi port. Binh Ba attracts tourists due to pristine beauty with clean, blue water, friendly people, affordable price and famous lobster specialty. Binh Hung (Bình Hưng) belongs to Cam Binh (Cam Bình) commune, Cam Ranh city. Nestled at the pass’s foot of the route: Binh Tien (Bình Tiên) – Vinh Hy (Vĩnh Hy), this place is famous for white sandy beach and clear blue water. The island has not been exploited for tourism so much so it still retains many wild, fascinating features. Binh Lap (Bình Lập) belongs to deepwater gulf of Cam Ranh, Khanh Hoa (Khánh Hoà). Because the weather in Binh Lap (Bình Lập) is rather pleasant, so you could come to this place at any time of the year. However, if you visit Binh Lap (Bình Lập) in the rainy season from September to December, you should monitor the weather forecast in advance in order to choose the appropriate dates for traveling. For the spring and summer months, the water of Binh Lap beach is blue and clear that allows tourists to see till the bottom. This is also the best time to visit Binh Lap. Binh Tien (Bình Tiên) is about 30 km far away from Phan Rang – Thap Cham (Tháp Chàm) city to the south – north and about 70 km away from Nha Trang to the north – south. 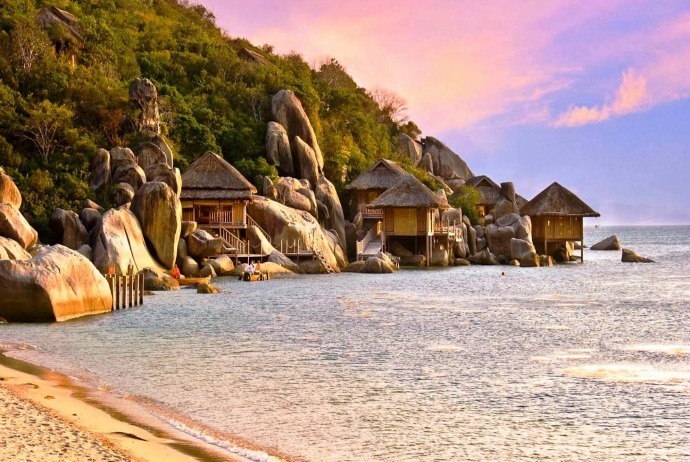 Departing from Phan Rang, go along the highway 1A to the 1,525th kilometer, tourists will see a small paved road running about 10 km, Binh Tien (Bình Tiên) beach will expose in front of tourists with wild and calm beauty. This is a sequence of three small islands, located in the sea waters of Van Phong (Vân Phong) bay, Khanh Hoa (Khánh Hoà) province. The journey to explore this island will start from Van Gia (Vạn Giã) town, after about one hour at sea, the beautiful Diep Son archipelago will gradually appear. Diep Son welcomes you by the green color of trees, red of red-tiled roofs and blue of emerald beaches. The scene is peaceful and quiet. Nothing better than standing here, letting the cool breeze blow against your face, the waves gently lick your feet and the vast blue ocean is in front of. All of the worries and tiredness seem to evaporate. 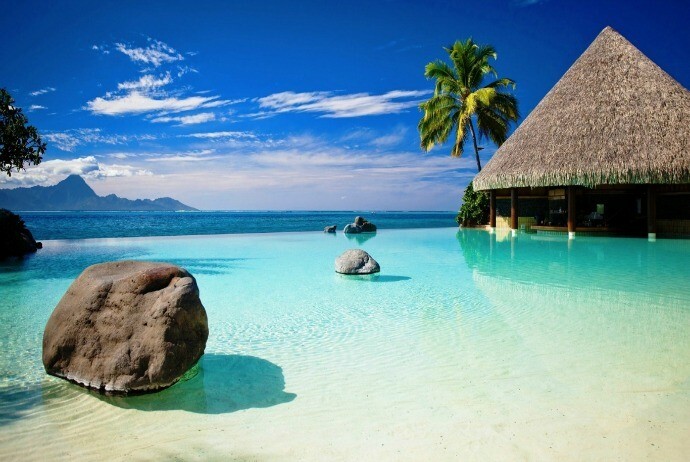 Located on Hon Tre (Hòn Tre) Island with crystal clear waters all year round, Vinpearl Land is known as the “Tropical Heaven”. 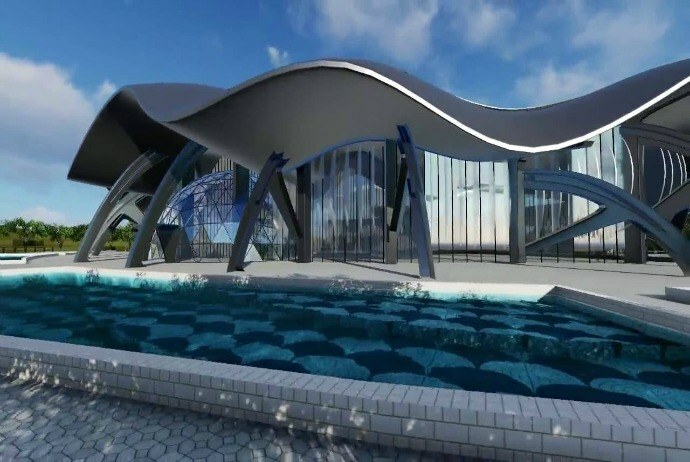 Apart from luxury hotels, beautiful gardens, ideal freshwater pools, this place also attracts tourists because of the thrilling game zone and spectacular 4D cinemas. Common transportation is by cable car or canoe from Nha Trang city center. 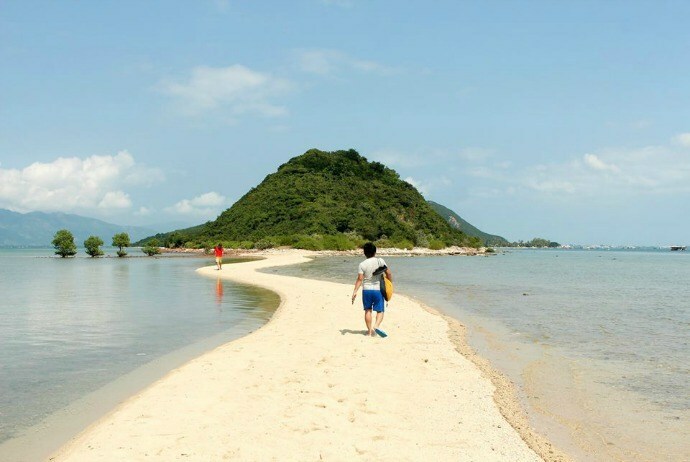 The island has an area of 110 hectares, about 7km far away from Nha Trang city to the southeast. From Hon Tam, you could see the whole Nha Trang city in the north and Cam Ranh peninsula in the south. 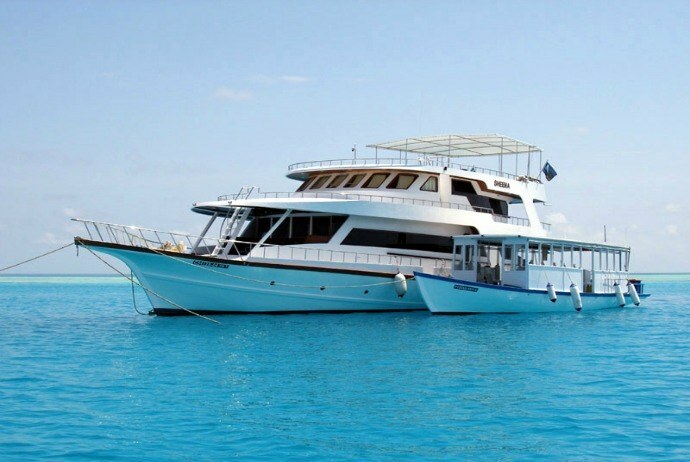 In addition to the beautiful beach, there are some famous activities such as exploring the sea by glass bottom boat as well as diving to see coral reefs. About 60km away from the coastal city, located on Hon Meo peninsula, Ninh Van bay has purely untouched features. This place is suitable for those who want to feel relaxed in the quiet coastal space. In addition, you could also enjoy some interesting snorkeling and scuba diving or try surfing, windsurfing, kayaking. Moving: From Nha Trang, it takes about 20 minutes by speedboat to arrive in this beautiful bay. Nha Trang Oceanographic Institute was established in 1923, located at No. 1, Cau Da (Cầu Đá), about 6km from the downtown of Nha Trang to the southeast. It has over 20,000 specimens of 4,000 types of marine and freshwater organisms which are collected and preserved for years. In particular, come to Nha Trang Oceanographic Institute, you will admire the giant whale skeleton of approximately 26m long, 3m high with 48 vertebraes fully restored. This destination is about 3km far away from the city center to the northeast. Hon Chong (Hòn Chồng) is a population of large rocks with various shapes, stacked on each other running from the shore to the sea. A group of other small rocks, located in the foot hills to the east, is known as Hon Vo (Hòn Vợ). The space of Hon Chong is almost separated from the bustling space of streets out there. It is also one of best places to see beautiful views of the city. Van Phong Bay belongs to Van Ninh (Vân Ninh) district (Khanh Hoa (Khánh Hoà)), about 40 km to the north of Nha Trang city. It attracts visitors due to the wild beauty of the populations of small and large islands and the blue color of the smaller bays inside. Moving: There are two directions to go to the bay: the first is floating on a boat from Nha Phu (Nha Phu) Bay. The second is by car or motorbike from Nha Trang city. This is a beautiful architectural establishment, located in the center city of Nha Trang. Dam Market sells a lot of souvenirs and local products. Here, there are various types of seafood, especially dried seafood. Nha Trang beach city not only possesses many attractions, large and small tourism islands, but also entertains guests with delicious cuisine. 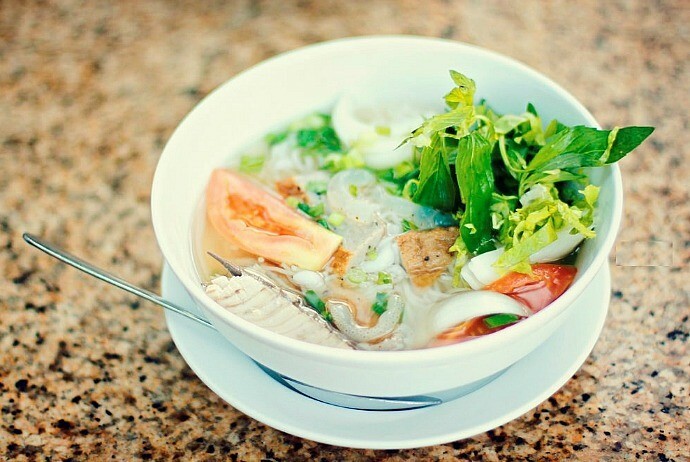 This is the famous cuisine of Nha Trang coastal city. 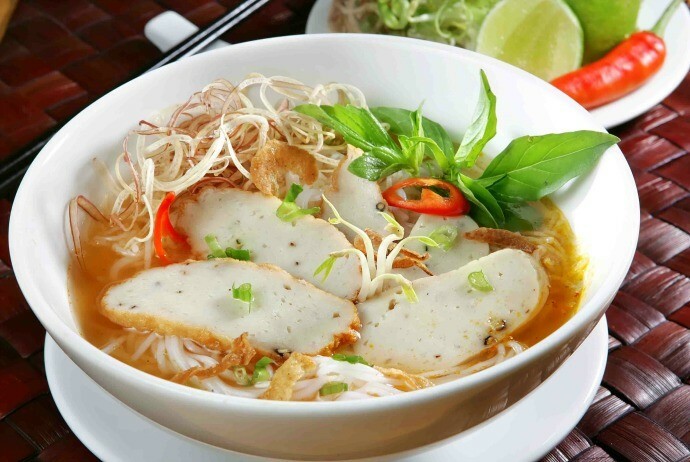 The dish is simple with clear broth, fried fish and tiny rice vermicelli. Delicious and famous fried fish is made from fresh fish that has enough toughness. The raw ingredients are mackerel, sardines, sailfish… which are often processed into two types: fried and steamed. Besides, the broth used have sweet taste and cooked from fresh fish bone, which are usually mackerel, sailfish, or those small fish such as snapper… Fried fish vermicelli must be associated with chutney. The spicy and sweet taste of chutney will add more flavors to the fried fish, so the appetite will be fully expressed. The jellyfish used is the thumb-sized one, having milky color, thick fibres. The broth is cooked from Liet (Liệt) fish, the type of fish that is about three fingers in size, having no small bones and sweet meat. When eating, the crunchy jellyfish, sweet broth, cool and spicy peppers all create a wonderful taste for the dish. The main ingredient of this dish is Dam (Dầm) fish, which is a famous specialty of Khanh Hoa (Khánh Hoà). Besides, there are fried fish and broth. The broth here is not processed from pork bones like other kinds of noodles, but from the bones of this fish, so it has natural sweet taste. Eat along with chopped raw herbs. The major component is fresh pork, slicing off all tendons, washed and dried with a clean cloth before being sliced thinly. The meat then will be flavored with spices like salt, pepper, sugar, monosodium glutamate in a mortar to knead as fast as possible to make the dish firmer. During the processing period, pork skin thinly sliced will be added. Ninh Hoa fermented pork roll is wrapped by Chum Ruot (Chùm Ruột) leaves or star fruit leave. The fresh young leaves should be used to produce fragrance. After being wrapped, the dish will be stored in cool place and the next day it could be used. Having the shape similar to “Banh Khot” (Bánh Khọt) of southern people, the main ingredient of this dish is rice. Rice is soaked, grounded in to flour and poured onto the molds. The stuffing is varied and diverse, including meat, eggs, mushrooms, shrimp and squid… Each type has a different taste. The sauce is viscous, has bright red color and spicy taste. Banh Can (Bánh Căn) is eaten along with raw herbs such as basil, lettuce, cabbage, green mango cut into small fibers. Similar to Banh Uot (Bánh Ướt), Banh Beo is also made from rice flour. Banh Beo must be eaten with fired shrimp. The golden color of the shrimps will add the beautifulness and deliciousness to the dish. Banh Beo is attractive due to the white color of rice flour, the golden color of the shrimp and the sweet and spicy tastes of the sauce are catalysts making this rustic dish delicious. 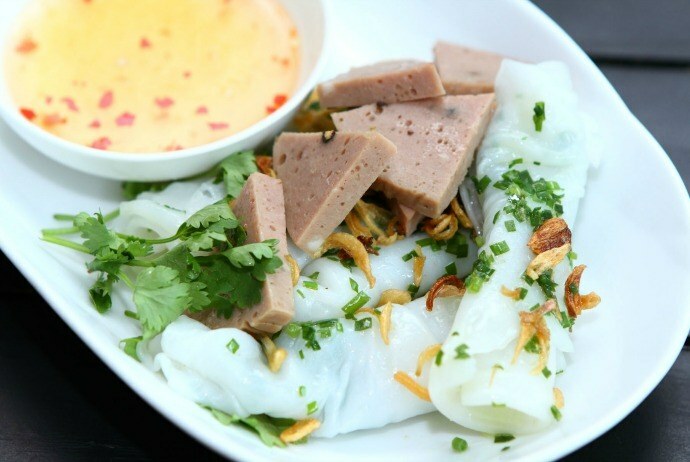 This dish is a combination between baked rice paper, Banh Uot, served with grilled meat or boiled meat…. 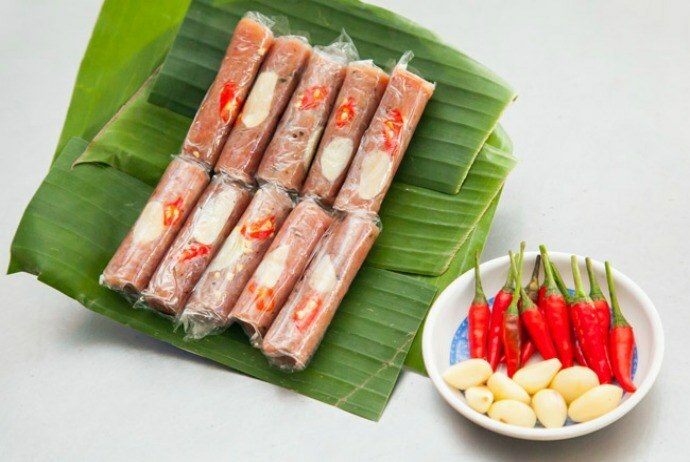 It is indispensible to lack of Mam Nem (Mắm Nêm) (a type of fish sauce made from small fish or small shrimps) with a typical spicy taste of coastal residents when enjoying Banh Dap. Grafting a piece of grilled rice paper with Banh Uot (Bánh Ướt), apply to the surface a little onion grease, fired shrimp, and followed by grilled meat or boiled meat… doubled and dip into the sauce to enjoy. The crispy feeling of rice paper, the softness of Banh Uot intertwined creating a delicious and interesting taste. Being a tourist city, particularly attractive to foreign visitors, Nha Trang is no shortage of comfortable hotels, with different rooms suitable for guests’ pockets. You had better make reservations at least 2 weeks in advance in order to get the best price. 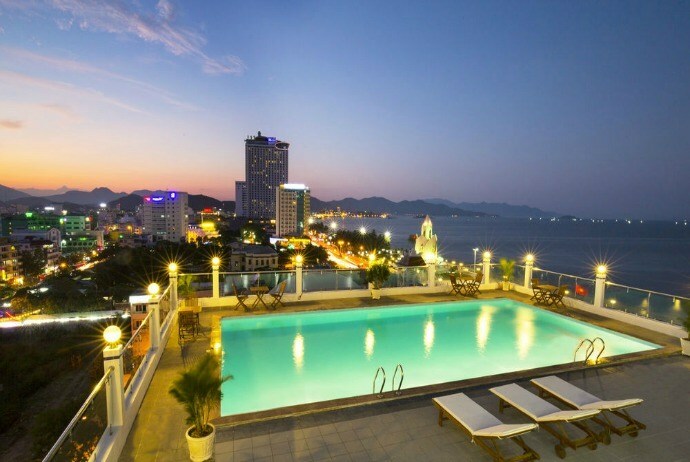 The followings are some good hotels with reasonable price and convenience for traveling in Nha Trang. Nha Trang is known as the pearl of the East China Sea, or Green Jewel because of its value of nature, beauty as well as climate. Landscape is stunning and also ideal for visitors to launch beautiful photo albums. Hon Chong is located right in the city. Here, tourists could climb while watching the beach, relaxing and taking pictures, Hon Chong can satisfy your requirements. This is a place for photography that many couples love. 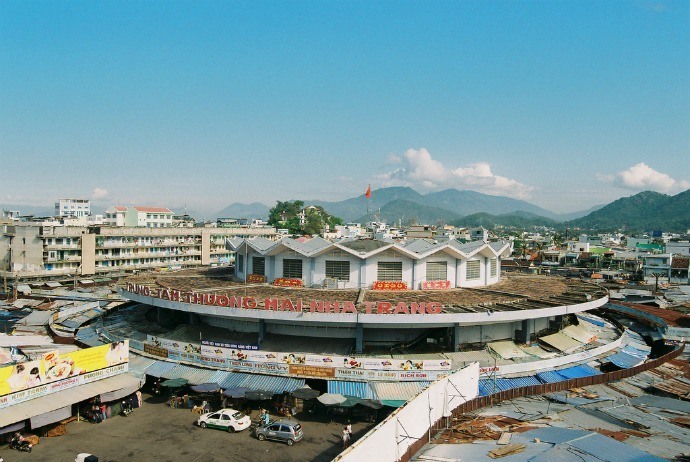 Located at no.17 Thai Nguyen (Thái Nguyên), Nha Trang city, this station is loved by many people as an ideal place for taking photos thanks to its unique architecture. This is a bridge crossing Cai (Cái) river, built by the French for a long time. It attracts a lot of young people due to the nostalgic and romantic space. Located at a height of 12 meters in the city center, built in 1928, the church is established in the style of Western, creating a lyrical and ancient space that no photographer can skip. You could take photos here before the Mass is celebrated every afternoon. Here, instead of hotels, there are bungalows (small houses interspersed in plants and trees halfway up the mountain). The bungalows were designed with material that are close to the nature (mud, thatched roof…) and unique architectural style has created a private and comfortable space. When the sun sets behind the distant mountains, Hon tam resort seems to immerse in the peace and tranquility. 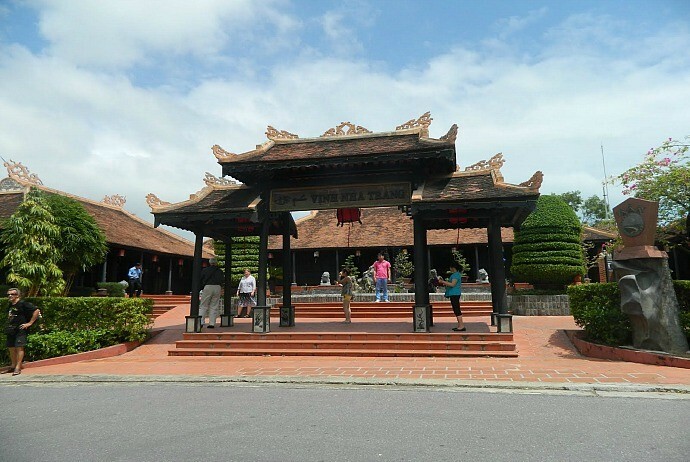 Nha Trang Bay Assembly Hall is built from the arrangement of 15 ancient Hue (Huế) traditional houses (Ruong (Rường) Houses), which are arranged a U- shaped architecture featuring strongly Vietnamese architecture. 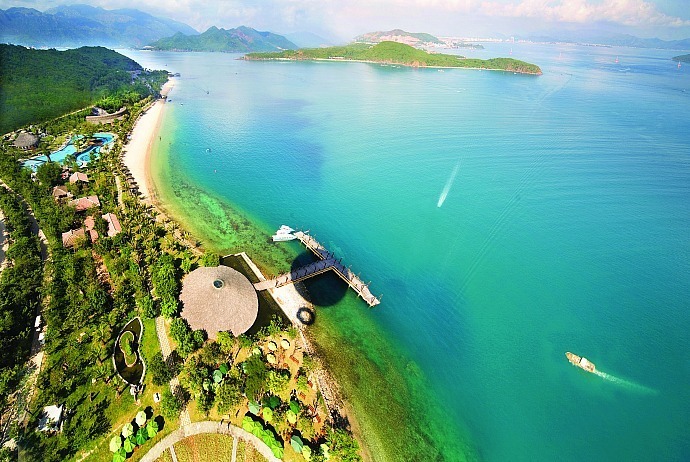 Built on Hon Tre (Hòn Tre) Island, Vinpearl Land Nha Trang inherited the stunning beauty, romance and poetry of the nature here. 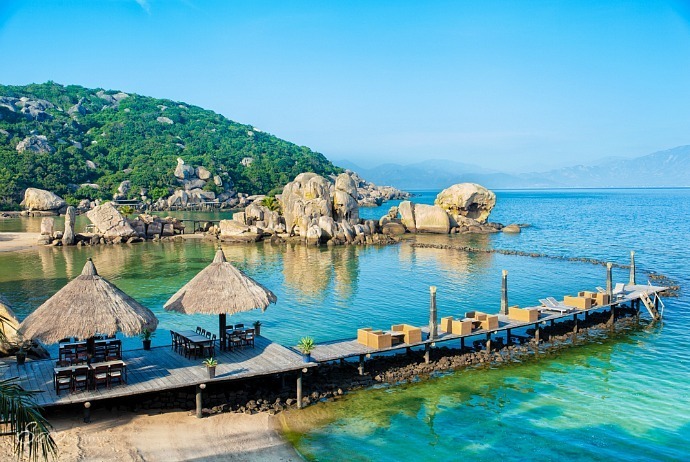 Not only does it have blue sea, white sand, golden sand and cool weather, but it also features ideal terrain of separate resort, creating a complex of tourism, entertainment, and relaxation at the top class of Vietnam – the ideal place for relaxing and harmonizing with the nature. It is also a perfect background for beautiful photos. 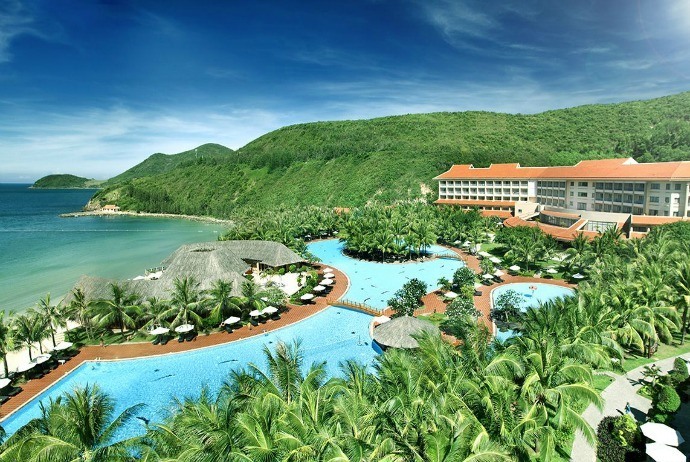 This resort has appeared in many famous Vietnamese movies due to its stunning natural landscapes. That is why this resort lies in the list of great places for taking photos in Nha Trang.